I have made no secret of the fact that I love my job. I teach 9th grade World History and could not love my content or age group any more. 9th graders are the epitome of teenagers to many but to me they are still impressionable and I can empower them and when I tell them they CAN AND WILL change the world, they believe me! When we approach World Religions our curriculum asks us to study the big 9: Judaism, Christianity, Islam, Hinduism, Buddhism, Confucianism, Taoism, Animism, and Shinto. Our curriculum hits religions from all corners of the world and exposes students to all different world cultures. I think this is a great way to study the world because so many conflicts have grown out of religions and so many people do not know any facts about ones other than their own. Since there are strict laws about the difference between teaching and preaching my school districts takes a historical and comparative approach. When we study Ancient China we talk about the Tao. 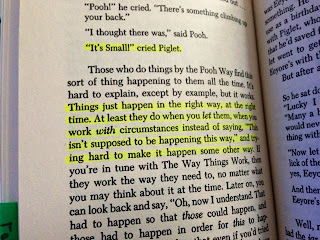 I have found along the way that I value many of the same things in my life that a Taoist would, specifically the idea that "everything works out the way it should". The idea that you can't force life to go the way you WANT and instead must accept life for what it naturally has to give. 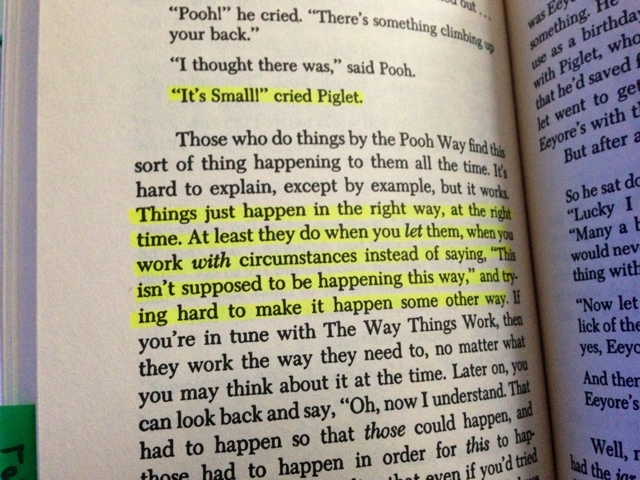 You must allow things to work themselves out and not push yourself too hard. Stress and anxiety fill so many people's lives today and they just don't fill mine. I can't help but think that its because I don't crowd my brain with useless worry and that I value wisdom over cleverness. 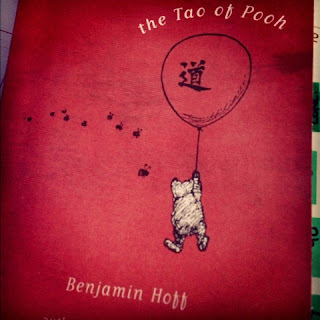 This year for the first time, I used Benjamin Hoff's adorable book The Tao of Pooh to explain Taoism to my Honors students. Comparing the famous A.A. Milne stories to harder concepts was really quite helpful in my teaching. I also think it can help make destressing much easier in the way that "Don't Sweat the Small Stuff" helped a lot of people have an "A-ha! Moment". 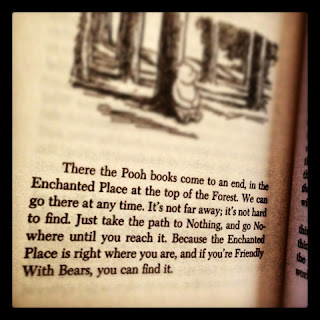 More than that, I think if you have overlooked this book (which was first published in 1982- a year before I was even born) it is inspiring and empowering.... and fun!